There’s a darling shop on Lighthouse that I frequent whenever I am in search of a special gift for a special friend. It’s Lilify. You will recognize it by striped chocolate awnings, an outside patio, and flanking the entry, slender urns spilling out with succulents. Before you even enter, this scene screams great taste. Once you step inside, a coffee bar greets you. 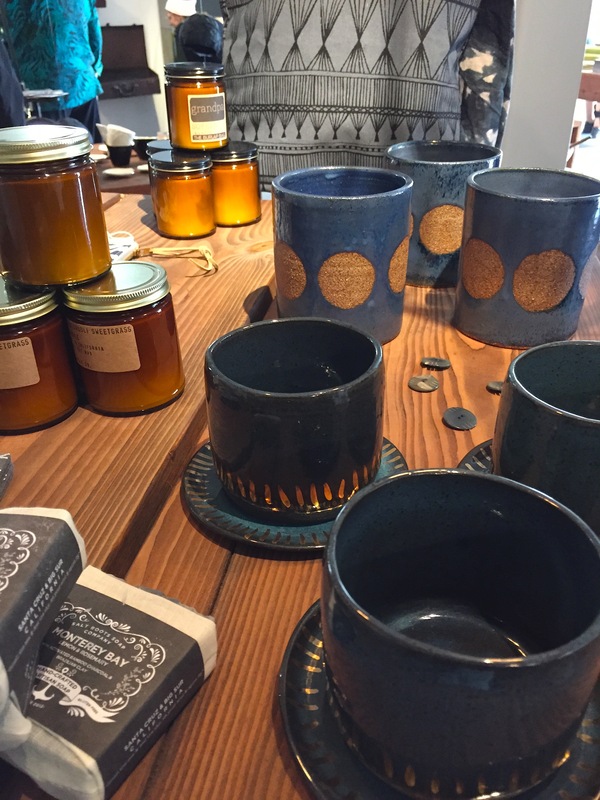 The organic interior draws you in further as you explore tables displaying pottery & porcelains designed by local artists, fragrant candles, soap bars, leather pouches, recycled gift tags, fine artisan jewelry, and the most amusing hand-designed greeting cards. 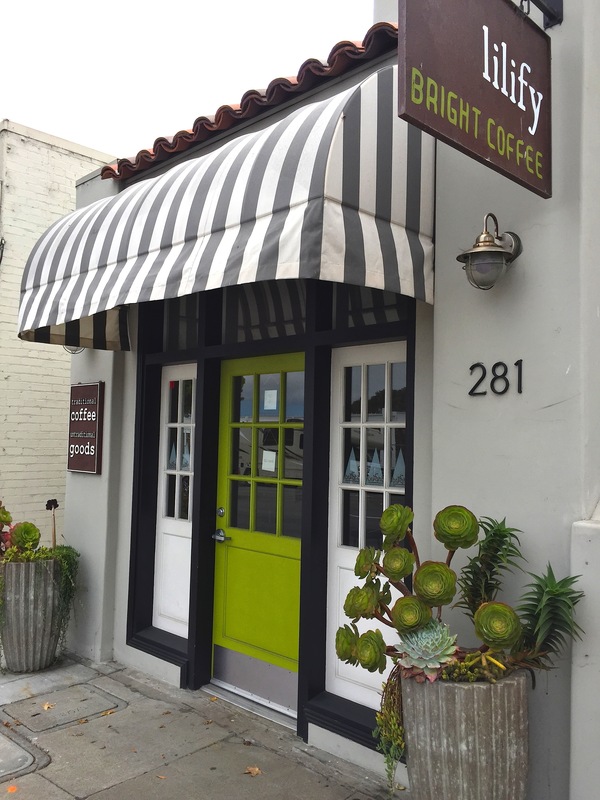 Lilify is a must-stop-shop for coffee and gifts and fresh floral arrangements for that special dinner party. Yes, they are also florists. What prompted my Saturday visit was an art showing combined with a caramel tasting. Marsha McGinnis Shortt’s “mail” collection focuses on the artist’s passion for the traditional art of letter writing which she translates through a medium of watercolor, pen and ink, collage and porcelain.